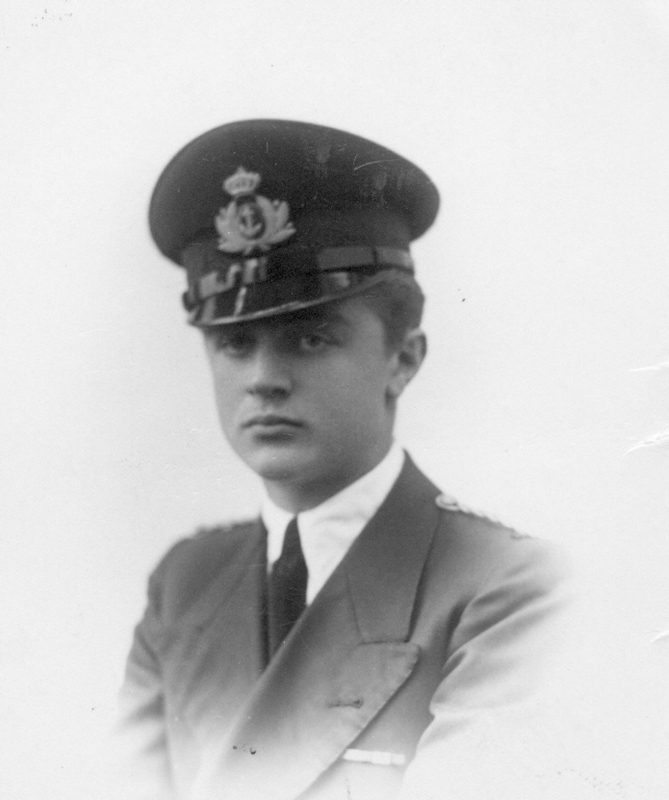 Between January and July of 1942 he was Junior Officer on the Luciano Manara (from 5.1.42 to 13.5.42) and Nino Bixio (from 16.5.42 to 9.7.42). These ships belonged to the Cooperativa di Navigazione Garibaldi of Genoa. From some reading of different material here and there I came to the conclusion (may be the wrong one) that these ships were taken over by the Italian Navy during the war and used for transportation of troops from Italy and North Africa. 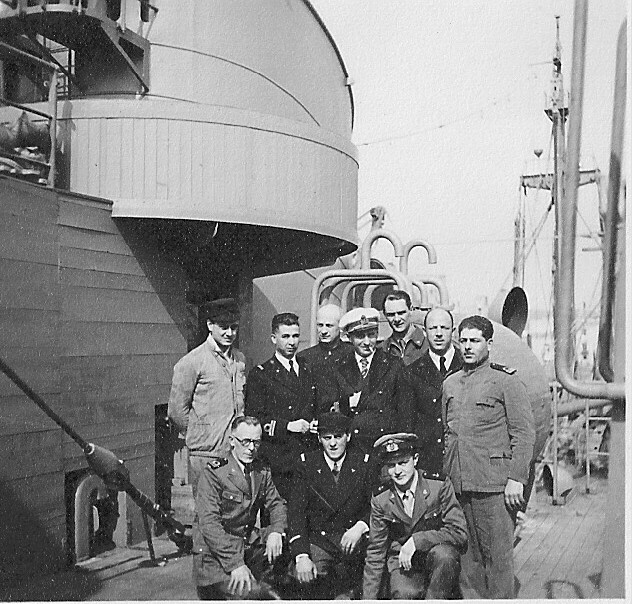 While on the Manara, on March 11, 1942 the ship was hit by enemy planes and the ship had to be towed to Palermo for repairs. 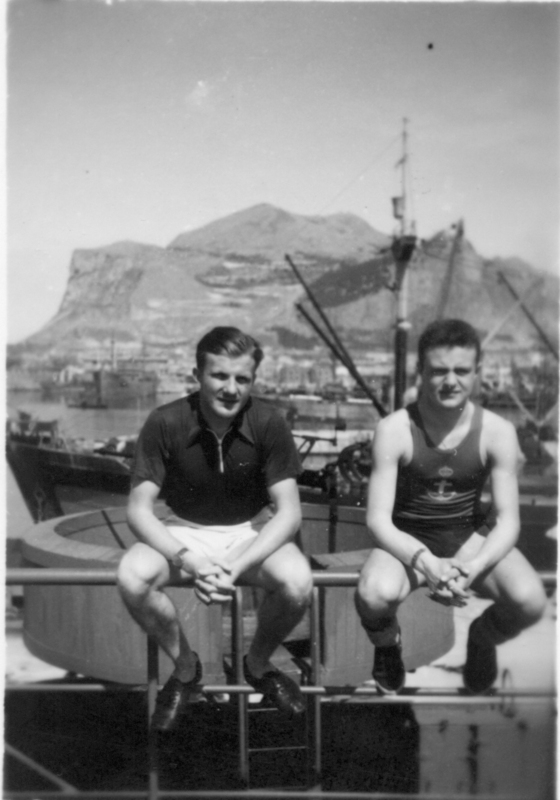 This picture taken either on the Manara or on the Bixio in 1942. 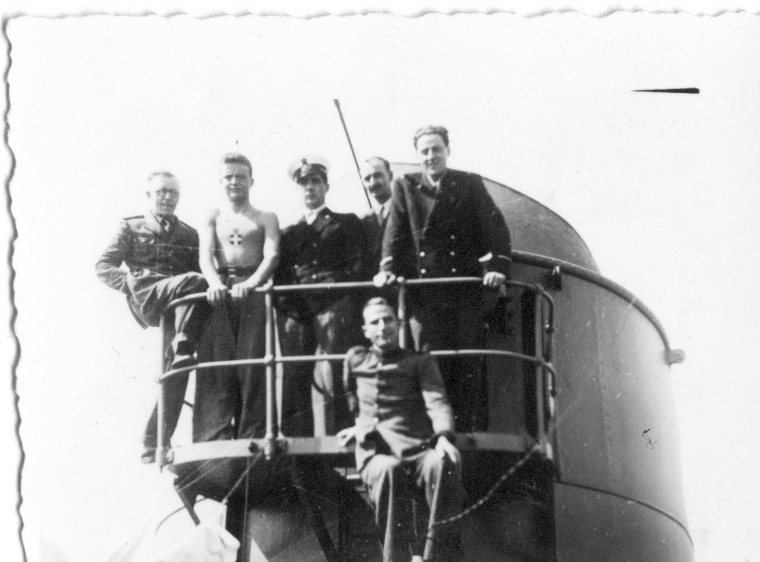 My father, second from the left, with painted on his chest the symbol of the Regia Marina (Italian Navy). 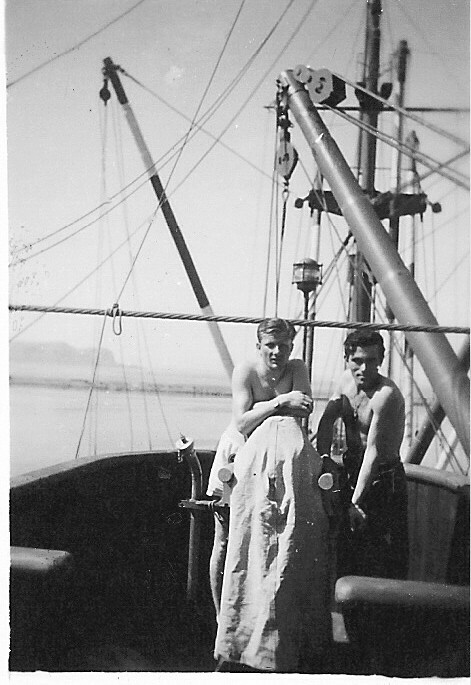 Also this picture taken in 1942 on either the Manara or the Bixio. 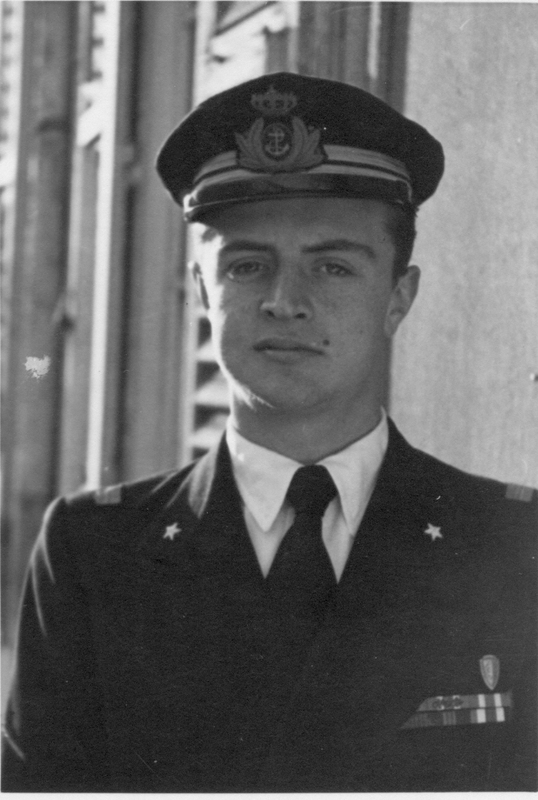 March 1942 o.n board Luciano Manara. Place unkown. 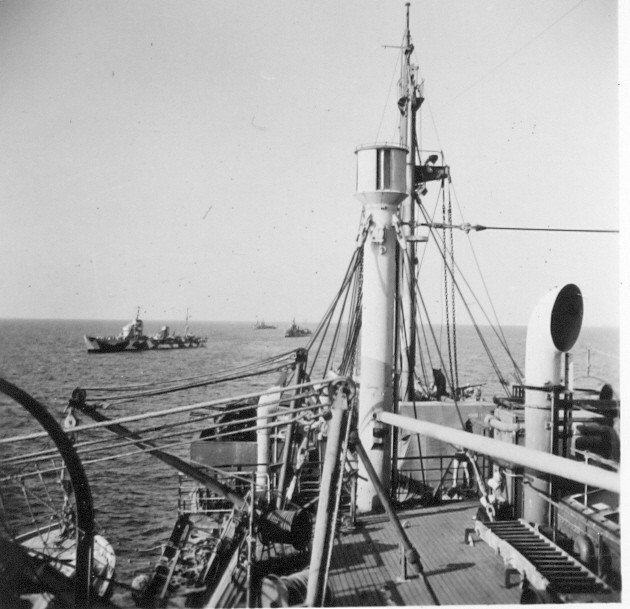 Looking towards the stern of either L. Manara or N. Bixio. Possibly a convoy?